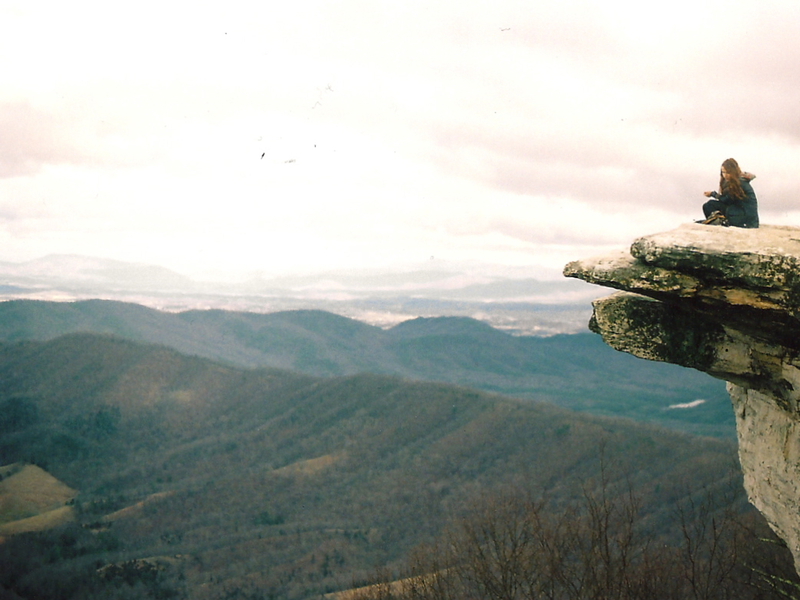 Considered one of the most scenic spots on the Appalachian Trail, McAfee Knob offers incredible 270-degree panoramic views of the valley below and mountains in the distance. The signature ledge is one of the great hiking spots in the country. Approximately four to five hours for a round-trip. Looking for postcard-worthy shots of the Appalachian Trail? It’s tough to find any better than at McAfee Knob, Virginia’s signature ledge that juts out over the Catawba Valley and offers an incredible hero images for those hikers brave enough to venture out. The trail is moderately challenging, in that there’s a lot of climbing. But even relatively inexperienced hikers should be able to reach the summit and enjoy the views. This is one of those hikes that are all about the views. On a clear day, you’ll get an impressive view of the southern Shenandoah Valley from this trail on the Catawba Mountain. Along the way you’ll encounter rocky ridgelines, dense forest, and creeks, and then you finish with that ledge that has become almost synonymous with the Appalachian Trail in Virginia. From your start at the trailhead just off of Virginia Route 311 (see directions), you’ll take the white-blazed trail up some wooden steps to a more gentle climb up the mountain, crossing wooden bridges along the way. 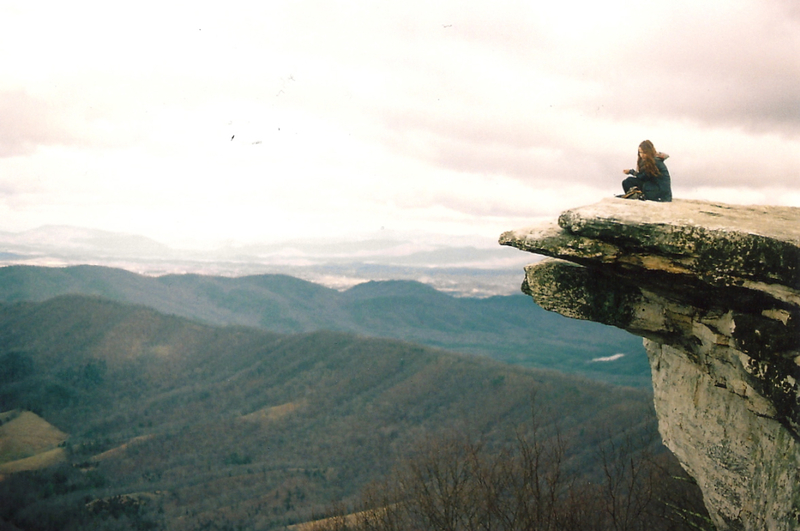 You’ll eventually reach the 3,197-foot summit of McAfee Knob. On the way back to the trailhead, you can take a fire road (about 1.4 miles from the knob) back to save a bit of time. It makes for a little easier descent as well. There is no camping on McAfee Knob, but you can continue on the Appalachian Trail, where you’ll reach the John Spring Shelter, Catawba Mountain Shelter, Pig Farm Campsite, and Campbell Shelter if you want to make this a multiday trip. If you’re looking for a place to refuel, the Homeplace Restaurant at the bottom of Catawba Mountain has been a popular destination for AT hikers for years. The all-you-can-eat family style restaurant specializes in southern comfort food like fried chicken, green beans, and cobbler in a farmhouse setting. Once you’re off the trail, you can also explore the nearby small town of Salem, which is becoming known as a Mecca for antiques, art, and other shopping. People come from all over the country for this hike—and that’s not including the thru-hikers on the AT. On a nice day you’ll get drool-worthy pictures, and the moderately difficult hike is a nice challenge—but one that most moderately in-shape hikers should be able to tackle. If you’re in the area, this is the must-do hike on the trip. From Roanoke, take Interstate 81 to exit 141, which will put you on Virginia 419/311. After about a quarter mile, turn right on Route 311. Continue about 5.5 miles north to Catawba Mountain. You’ll find a gravel parking lot where the Appalachian Trail crosses the road. You’ll have to cross over Route 311 to reach the trailhead. Note that on nice days, this parking lot can fill up. Arrive early to ensure a spot.